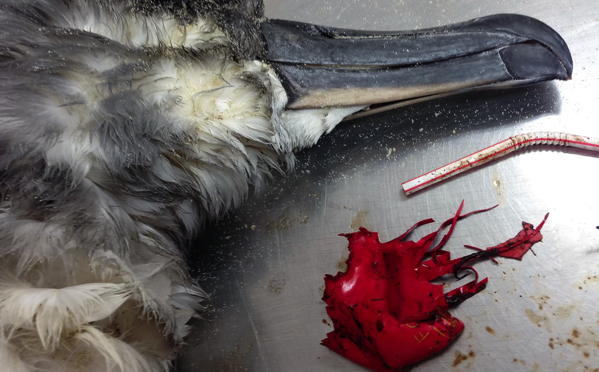 Forget about plastic straws: The deadliest ocean garbage for seabirds is balloons. In a recent survey of over 1,700 dead seabirds, more than a quarter of the deaths were linked to eating plastic. Four in 10 of those deaths were caused by soft debris such as balloons (which are often made of plastic), even though it made up only 5 percent of the inedible trash in the birds’ stomachs. Seabirds frequently snap up floating litter because it looks like food; once swallowed, it can obstruct birds’ guts and cause them to starve to death. If a seabird swallows a balloon, it’s 32 times more likely to die than if it had gulped down a piece of hard plastic, researchers reported in a new study. With an estimated 280,000 tons (250,000 tonnes) of floating marine debris worldwide, about half of all seabird species are thought to ingest plastic on a daily basis, the study authors reported. Birds are especially likely to swallow dangerous balloons because they closely resemble squid, according to the study. Poppy farmers in the state of Madhya Pradesh in India have reportedly run into some trouble while cultivating this season’s crops. 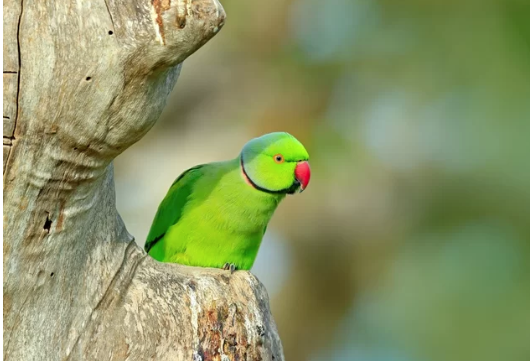 In addition to inconsistent rainfall putting a damper on things, flocks of persistent parrots — presumed to be addicted to opium — are rampaging through the poppy farms, sometimes making 40 visits a day to get their fix. 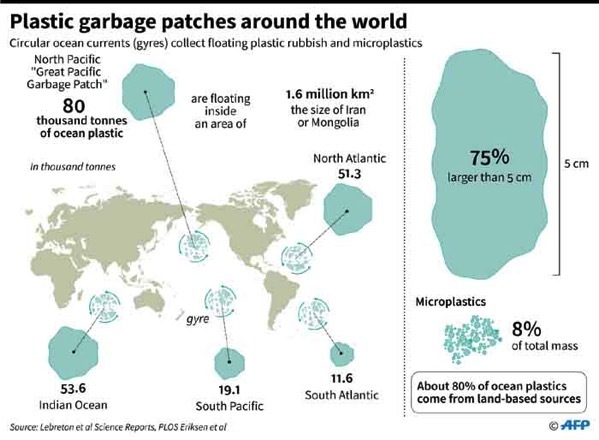 Microplastics proliferating in the world’s oceans appear to also be carrying a host of bacteria, some so toxic that they can cause coral bleaching in tropical waters and even bring infections to humans with open wounds. Bacteria known to cause gastroenteritis were also found. Researchers from the National University of Singapore sampled plastic debris in the waters around the city-state. They found that among the bacteria hitching rides on the microplastics were some useful organisms, such as those that can break down pollutants in the water. But lead researcher Sandric Leong cautioned that since marine life are eating the plastic, the accompanying pathogens could be passing up the food chain. The longest river in Asia has become one of the world’s most polluted, with tonnes of plastic waste threatening marine life in the East China Sea and beyond. The Yangtze River is the third longest river in the world, with a length of more than 6,300km. According to research published in a recent environmental journal, the Yangtze and its tributaries carry 1.5 million tonnes of plastic into the sea each year – the most of any river in the world. In an effort to save marine life, environmental groups and campaigners in the country are organising volunteer clean-up operations, clearing out plastic along the mouth of the polluted river. China is one of the biggest plastic consumers in the world. In 2016, package delivery services used an estimated 14 billion plastic bags. And with the rapid increase of food delivery options, it is estimated that 60m plastic containers are used each day – many of which cannot be recycled.